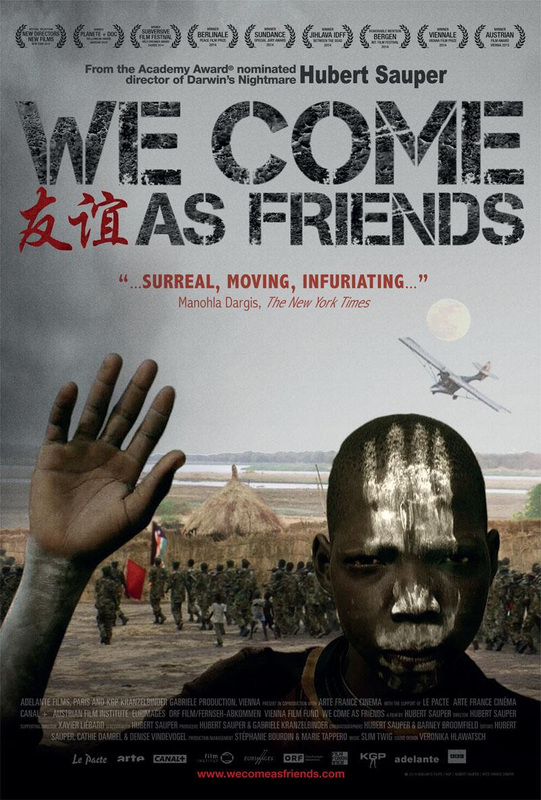 #MoviesMusicPlaysFilmFestivalsConcerts: News: Award-winning Documentary "We Come As Friends" Gets US Theatrical Release! 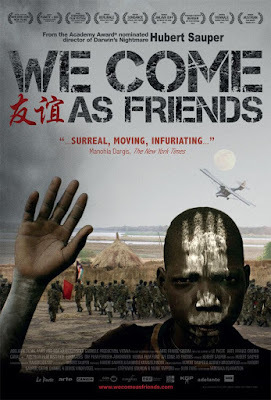 News: Award-winning Documentary "We Come As Friends" Gets US Theatrical Release! Academy Award-winning filmmaker Hubert Sauper's "We Come As Friends" is one of the first releases this year for BBC Worldwide North America. Early reactions to the film across the globe have been exceptional with many considering the film as a potential awards contender this year. The poster alone is very provocative and has proven to be a conversation starter. The film won awards at the Sundance Film Festival, Berlin International Film Festival, Subversive Film Festival, Austrian Film Festival, the San Francisco International Film Festival and others. It will continue to open across the nation with engagements in markets including Boston, Chicago, San Francisco, Seattle, and more. Sauper will be participating in special appearances and Q&As in New York, Los Angeles, and Washington D.C. The film is a modern odyssey - a dizzying, almost science fiction-like journey into the heart of Africa. At the moment when the Sudan, the continent’s biggest country, is being divided into two nations, an old “civilizing” ideology re-emerges – one of colonialism and a clash of empires – with new episodes of bloody (and holy) wars over land and resources. Academy Award® nominated director of "Darwin’s Nightmare," Hubert Sauper, takes us on a voyage in his tiny, self-made aircraft constructed from tin and canvas, leading us into the most improbable locations and into people’s thoughts and dreams in both stunning and heartbreaking ways. Chinese oil workers, UN peacekeepers, Sudanese warlords, and American evangelists ironically weave common ground in this documentary. "We Come As Friends" is written and directed by Hubert Sauper. It is produced by Gabriele Kranzelbinder and Hubert Sauper. Cinematographers: Barney Broomfield and Hubert Sauper. Editor: Denise Vindevogal. Composer: Slim Twig. Sound department: Alexander Koller. Music Department: Malia. Sudan.